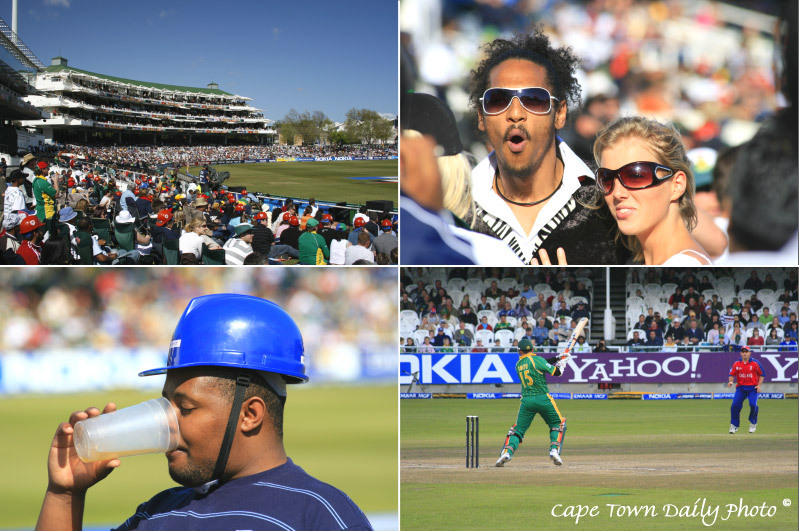 Following on from yesterday's cricket theme, it truly has been a time for fun under the African sun. Cricket matches are synonymous with laughter, shouting, singing, and of course beer... after all, what would cricket be without beer? Interestingly enough, even though beer flows freely at cricket matches, nobody seems to get too out of hand. Our police force remain absolutely vigilant and maintain a good amount of visibility. Spectators tend to respect each other and even though their team may lose, nobody shows anger at this. One would be more likely to see lower lips dragging along the floor as sad fans make their way home. Posted in General on Monday, 17 September, 2007 by Paul.